The festival season is upon us, so why not bring the fun and carefree atmosphere to your special day by creating a wedding fit for a festival queen or king (or even Kate Moss). 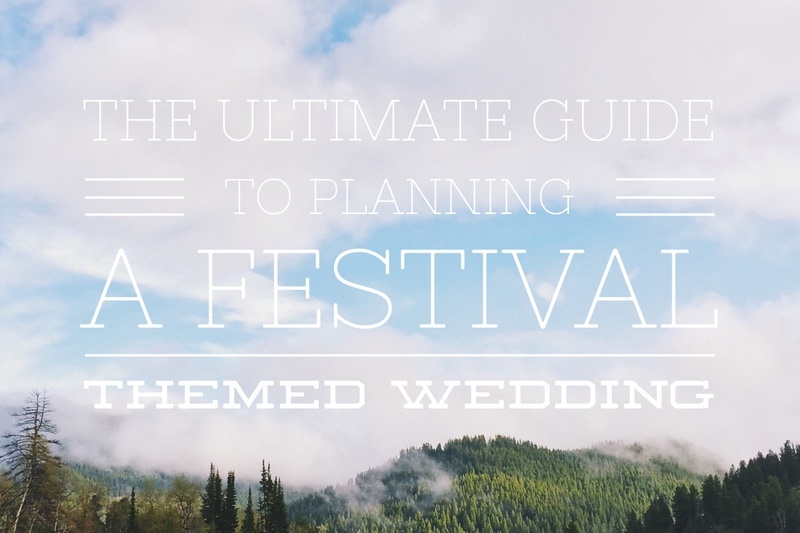 Forget Glastonbury or Bestival, follow Function Junction’s tips to creating your very own festival-themed big day. First impressions to a wedding start when the invite arrives in the post to your chosen guest list. Let all your guests feel like a VIP with ‘all access’ wedding pass invitations on lanyards or even provide wristbands for them to wear on the day. For the venue, hiring yurts, a marquee or a giant teepee are typical festival reception hubs. Looking for a field? The Field Lover is a great website for finding a level field with panoramic views https://fieldlover.com/field/list. If a field isn’t for you, why not consider a country pub with large enough grounds to create that natural, outdoorsy atmosphere. A festival themed wedding wouldn’t be the same without colourful decor and wild and rustic-looking flowers and floral crowns. Drape fairy lights and bunting softly around your venue, as well as beautiful lanterns housing pillar candles to be lit as the evening draws in. Get creative with outdoor signage so guests can’t get lost by hand painting signs on wooden crates or boards. Make chill out areas with hay bales and bean bags as alternatives to sofas. Just like if you are attending a festival in the UK, you’d make sure you are fully prepared for any eventuality. If the wedding is outside, make sure to advise guests to bring a jacket or cover up for the evening (or even an umbrella) and a pair of fairly sensible shoes. Or keep guests feeling cosy by providing blankets for them to snuggle up in. As we all know, the British weather can be unpredictable, so the bride and groom could wear a fun pair of wellington boots under a wedding dress or pulled over trousers. Why not fill wicker hampers full of different sized wellies for guests to use - also great for ladies who have sore feet from wearing heels for too long. Don’t ruin a festival wedding with just a Spotify playlist, live music is key for the day and especially the evening reception. Plan a series of bands, acts and DJs to play throughout the day to mimic a real festival music line up. Start with a chilled acoustic act during the ceremony and drinks reception and move on to a show stopping headlining band playing festival classics from Kings of Leon and The Killers. The Function Junction have a wide selection of festival-worthy live bands and acts, perfect for entertaining you and your guests all day long. Tommy T and the Belletones, The Hearts and The Bears and The Lightyears are excellent choices, plus these bands and musicians have even played Glastonbury and other UK festivals themselves! If you’re looking to host your wedding in a field, don’t forget hiring a generator with a 15 amp power supply. Follow Function Junctions help and advice tips on band requirements for playing in a marquee, teepee or yurt. A festival doesn’t have to have the typical sad-looking burger and soggy chips combo, it’s a wedding after all, so you want food to impress the guests. There are so many amazing gourmet street food companies and mobile bars out there these days, waiting to feed and water guests with scrumptious homemade food, personalised cocktails and craft beers.